Happy Monday! While browsing around on my new favorite place, Pintrest, I found this painting and fell in love. Can you see the sky, water, and sand? I didn't want it to be super literal - you know like "oh she has a pillow of the beach on her couch....." But I am pretty happy with how it came out. This design would be pretty in any color combination - I thought about an all blue one - starting with a dark blue and fading into a light. 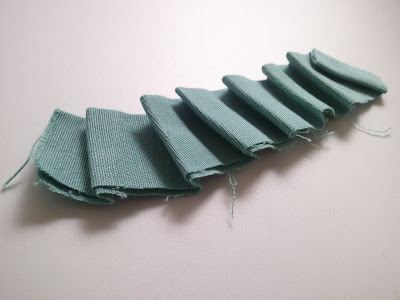 If you'd like to make one - here's a loose tutorial on what I did. Step 1: The basis for the pillow is pleats. 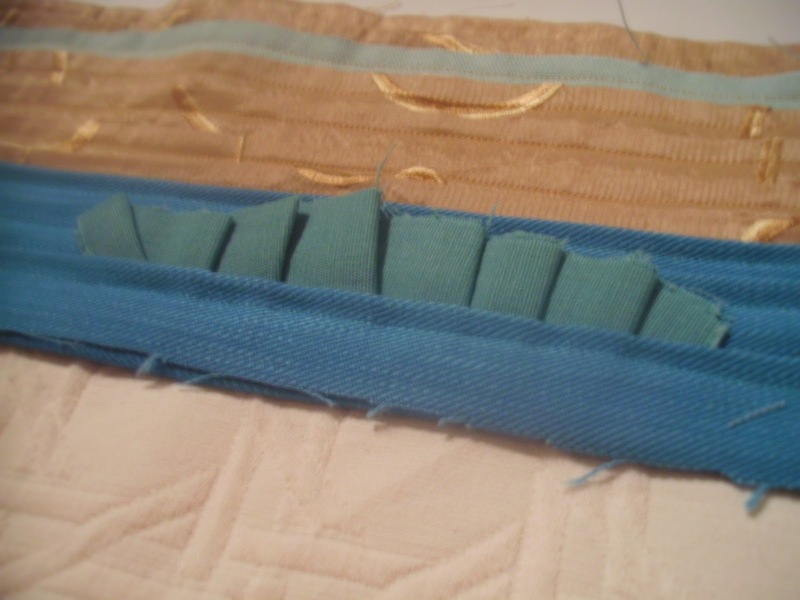 The top, gold portion is all one piece, just folded up to make pleats. Then I slid in one little strip of blue to mimic some clouds. I changed it a little bit. 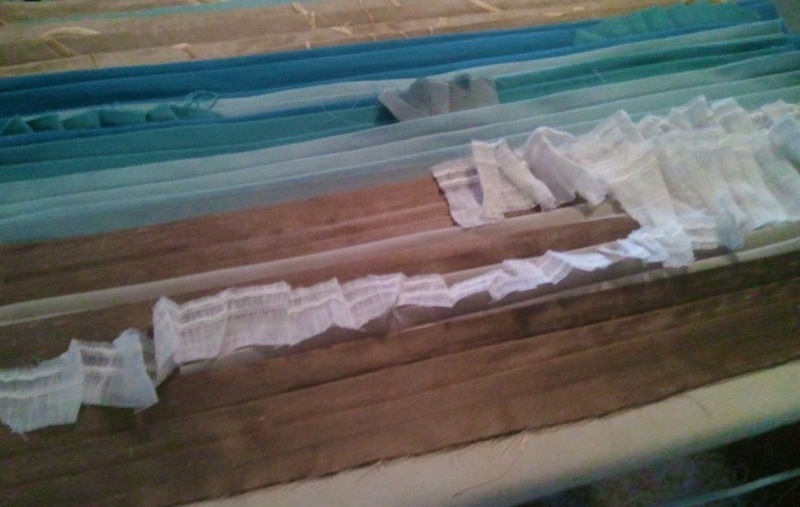 Step 2: Once I had all of the strips cut out, I cut out the front and back pillow pieces - about 21" x 18". I just used a nice cream. 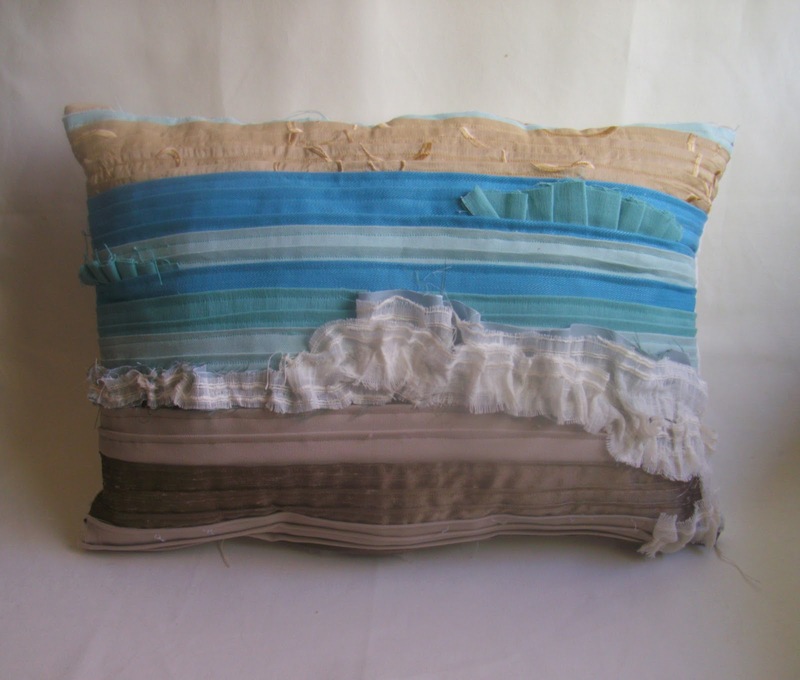 Then I started at the top of the pillow and sewed the pleats onto the pillow front. I also inserted those little "waves". Just a small strip of pleats running the opposite way. 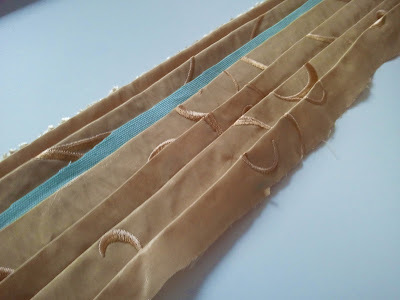 Once all of the pleats were topstitched on, I sewed the back piece on with right sides together. Be sure to leave an opening in the bottom so you can turn/stuff it. 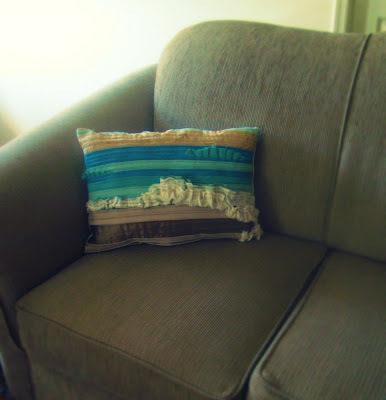 It looks a little lonely right now - it needs some more summer/spring pillows to share it's home. 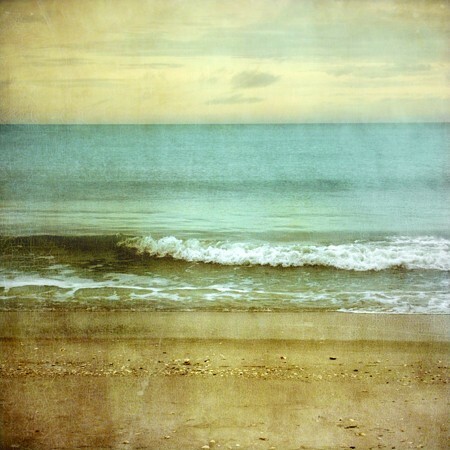 But it makes me really happy to sit beside it and dream of the ocean. Have a great day!